Serial console switches, also known as console servers, offer a single point of control to remotely manage UNIX & Linux servers, routers, switches and other serially-managed devices via SSH/Telnet and Web browser. 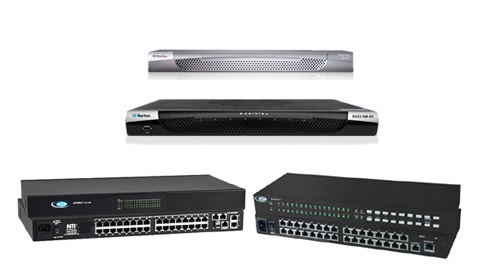 They are multi-platform compatible, and offer virtual at-the-rack access for remote tasks. They are similar to the KVM switches used for servers and PCs. Serial console servers provides IT and network administrators secure serial-over-IP access and control of devices — anytime, anywhere. They provides convenient access to headless servers, networking devices, security appliances, rack PDUs, virtual hosts, and wireless / telecom equipment.